hi Heart! how the heck are ya?? Oh, nooo...I think I understood what you were saying and was in no way thinking you were defending them. I agree, they could have decided long ago to break the cycle, but choose [as many do] the easy way. You would think with all the problems and struggles each of the Croslin kids have been through, at least one could/would decide to try to get off that merry-go-round. I can see yet another generation coming... in all their kids. I also agree with you in that at some point there has to be an end, don't exactly know if I would like to give the 'system' that much power, but there needs to be some type of solution. 2. Believe it or not, I'm having a hard time with Misty's parents in jail. Did they buy crack or cocaine? There's a big difference according to Florida's law. $20 of coke can be cooked into $40 of crack, easy. Crack is a much heavyier sentence... not that it makes sense. ? 4. "keep your enemies closer" is the way of life for some. "if you are not with me, you are against me" is the way you have to live when you break away from the foolishness.... It's freaking hard! I just wanted to share, take what you want...leave the rest. I don't do drugs, prescription or otherwise but I'm raising my kids here, in the "lion's den" of prescription hell. Like we needed easier access...I know more than I would like to. I just wanted to comment, FL is weird. LE on any level is not your friend, not in my experience anyway. This is what you do when you are innocent: First you tell the truth when LE asks you questions. Then, you repeat the same story every time someone asks you questions about the event. You are consistent, maybe a few minor details occur to you that did not occur to you before, but you tell the same story over and over again. Why would you do something different? I can only come up with 2 reasons, because they are guilty of something or because they are covering up for someone who is guilty. (Maybe a third reason, you were doing something illegal that night that had nothing to do with the event, but if you told the truth, you would be in trouble). Anyone else come up with another reason? 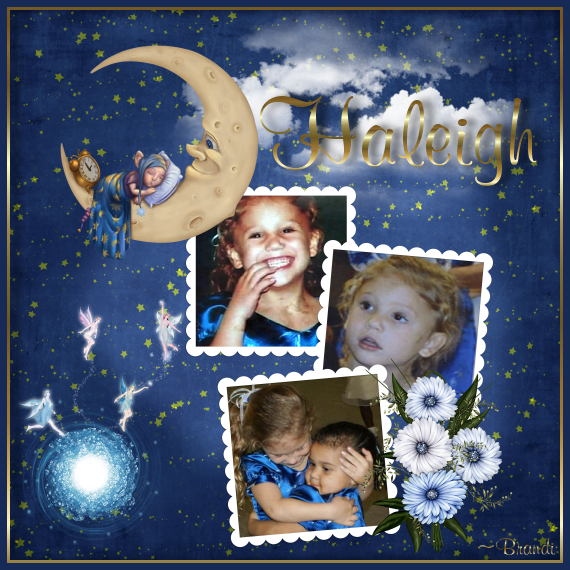 I am not calling sweet Haleigh "the event," only the tragedy that befell her that she is no longer with us. I cannot imagine what anyone did to this baby. I have read articles that say crack. Hi Nuna, I just jumped over here from BOC checking HC each morn as usual but I had just posted that the Good ol boy system is still alive and a good reason many of our children fall through the cracks. All MHO only!!! But it doesn't take a genious to figure this out. I live in the N. FL area and we too experience the fallout of the Rx drug problem. It's only the selling in my and surrounding counties as any doc who prescribes here that is tied to an overdose typically is arrested, tried and put away for ever. Why isn't that happening down central and south FL? Although if you have chronic pain you won't find a doc here to help. Now that is sad. Some are forced to travel for a doc that ARE legitimite. Why are these docs allowed to dispense all these drugs? I don't get it. People always said I don't know how Ron and Misty lived not working. Shoot, if a fam member gets a Rx for free on medicaid and then sells them for $20 or $30 dollars a pill x's 180, why work? They made more then my hubby and me in a month. So, so sad! I've seen so many (I'm in home health) families suffering from addiction and the cancer/chronic pain pt's whose fam steals their needed meds. You call HRS and nothing is done but run the family member off. No help is ever provided. These docs and the one's who are selling these pill are just tearing FL down further. Remember when we were known for the "Worlds most beautiful beaches"? Now we are the state that prescribes 85% of all Oxycontin in the US. This was stated on The Doctors a couple of days ago. God bless the children of these addicts. Please, we need help soon. Thank you Heart. The articles do say crack but the charges read coke, to me. It's makes financial sense, as well....Double your money, kinda thing. Bearlyhere, that is what a not guilty person does in a normal world. In a corrupt world, you keep your mouth shut. Period. Your enemies are your friends and your friends are your enemies. It's a lonely existence. I wholeheartedly agree with LE that Misty holds the key. And I absolutely believe her when she whines, "I don't know...". That's what you get when those 2 worlds collide. Even when drugs aren't involved. You can never trust anyone, not even yourself. 8:30 am hearings are usually just the attorneys and judge, in chambers. The notice of filing-certificate of completion, is most likely the "children first" class both parents have to take to get divorced. Judges will not sign off on a divorce without one. Thats what I thought Nuna, thanks for the clarification. Hey trim! My pleasure. Hope you have a wonderful weekend! Palatka - On July 30, 2010, the Putnam County Sheriff’s Office Drug/Vice Unit with the assistance of the Sheriff’s Office SWAT Team conducted a narcotics related search warrant at 519 North 8th Street, Palatka, Florida. The search warrant resulted from an ongoing investigation into the illegal sale of narcotics from inside residence. One individual, Travis Kemp (DOB: 10/01/1983) was arrested as a result of the search warrant. Detectives located and seized marijuana, crack cocaine, and items used as drug paraphernalia during the search warrant. A small child was also present at the residence during the time the search warrant was executed, and was immediately released to the custody of a family member. The Department of Children and Family Services was notified of the results of the search warrant and of the living conditions in which the child was residing. He is currently being detained with a bond of $4,504.00. A criminal investigation is continuing into the activities surrounding the illicit sales of narcotics at the residence and several other persons of interest. Been a while since I have posted, but I read here every day. Thanks for keeping the thread active with updates. Wish there were some news about where Haleigh is. Thanks Brandi! Very nice pic. Big argument going at Topix with some new person "no name", Anne and Sami LOL! No name is saying that Marie and Johnny are responsible for Haleigh's disappearance. Wow, Brandi! You have been busy. That's beautiful!